Stand out from the crowd with one of Luxcar’s latest chauffeur-driven premium sedans, the Mercedes Benz C-Class Sedan. With its European elegance and luxurious interior, this model is ideal for airport transfers, corporate events, weddings and all other luxury events! 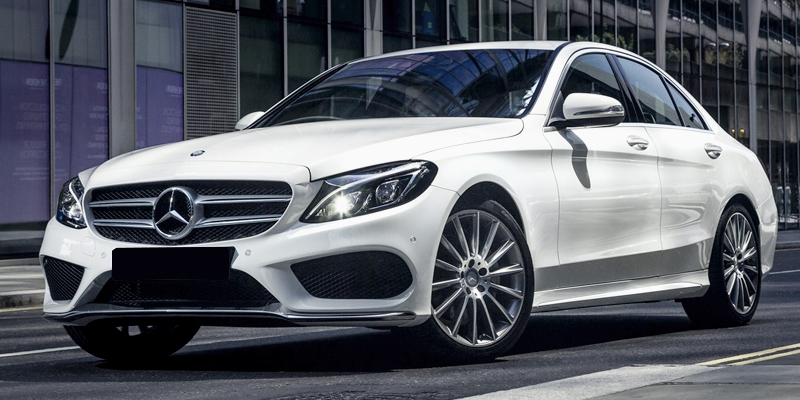 At LuxCar, we believe that luxury car hire needn’t put a huge dent in your budget and that ethos spreads to one of our latest fleet additions: the latest of the Mercedes C-Class Sedan. Spacious, comfortable and entirely capable, this premium sedan gives you the upper-class experience. The Mercedes C-Class Sedan comfortably accommodates up to three passengers and their luggage, and thanks to our chauffeur, you and your fellow passengers can simply sit back, relax and enjoy the ride. The sedan is ideal for ground transfer from A to B, whether you’re seeking solutions for wedding transportation, a warm welcome to and from Sydney for a VIP corporate guest or simply a ride around the sights of Sydney without having to navigate the traffic. Our fleet is regularly maintained and inspected, ensuring that all our cars maintain a fresh-out-the factory feel. Along with our chauffeur, this is one high quality luxury ride you won’t forget! The Mercedes S-Class Sedan sets the standard in first class chauffeur driven luxury. Capable of carrying up to 4 passengers safely and in style. This luxury Sedan's exterior is masculine and sporty, and the interior is impressive for its generous space division. Beautifully stylised leather interiors combined with leather seating make this Mercedes Benz supremely comfortable, while the latest in climate control keeps the temperature just as you like it. It’s the little details that count, and at LuxCar, we ensure that all our C-Class sedans are equipped with thoughtful touches designed to keep you in maximum comfort. The Mercedes S-Class offers superb flexibility and refinement.This adds up to a superb, all-round, multi-purpose luxury vehicle. Booking with LuxCar is easy. Whatever your event, book your chauffeur driven Mercedes C-Class Sedan today and avoid disappointment. Simply call us up on 1300-589-227 now, or click the button below for an instant quote.